After discovering the amazing skin care benefits of facial dermal rolling, I was so excited to find out that we can actually derma roll our entire bodies too, so I put together this guide to the amazing new Lonvitalité derma rollers for both face and body! 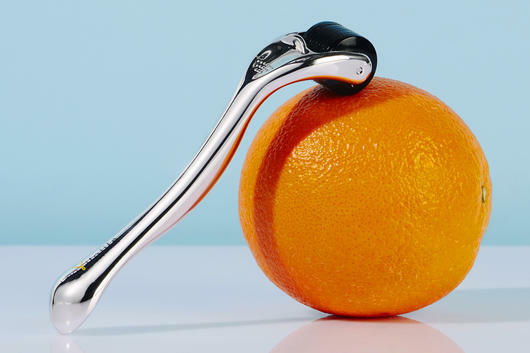 I've known all about the benefits of derma rolling the face for a little while now, but did you know you can actually use a derma roller on your body too? This amazing technique can actually help to target everything from pigmentation to cellulite! The Lonvitalité derma rollers are designed for both the face and body and can also help to increase the absorption of our facial serums, elixirs, moisturisers and body lotions by up to 40%! Derma rolling has been a popular anti-ageing beauty treatment since the 90s, but early forms are actually known to go back centuries, practiced by Chinese acupuncturists. Also known as microneedling or 'dermal' rolling, it was previously only offered as a professional salon treatment, but now we can actually do it ourselves at home! Derma-rolling uses micro-needle technology to create micro-channels or microscopic injuries in the skin. This process then triggers the skin's natural reparative response, stimulating collagen and elastin production as the skin works to repair itself. Basically, derma rolling results in tighter, plumper or firmer looking skin. Another key benefit is that the micro channels can also assist in the absorption and efficacy of our serums and moisturisers by up to 40%! Derma-rolling is suitable for most skin types, but anyone with highly sensitive skin should avoid it. An at-home treatment shouldn't hurt but rather feel just a bit awkward, thanks to the slightly prickly sensation of the needles. 1. Disinfect roller with medical alcohol before use. 2. Cleanse skin, remove all makeup and pat dry. 3. On the desired area (e.g. forehead, cheeks or chin), gently roll the needles back and forth 5-10 times horizontally, vertically and diagonally. 4. Apply your favourite serum or elixir and gently pat into the skin until absorbed. With 0.30mm size needles, the Lonvitalité Microneedle Derma Roller is designed to help improve skin tone and texture of all skin types. The 540 tiny titanium needles actually work to penetrate the skin's surface and create micro-channels in the outer dermal layer, which can assist in increasing absorption and efficacy of serums and skin care by up to 40%. Used regularly (2-3 times per week), dermal rolling may help to firm skin, brighten the complexion and diminish the appearance of scars and pigmentation. 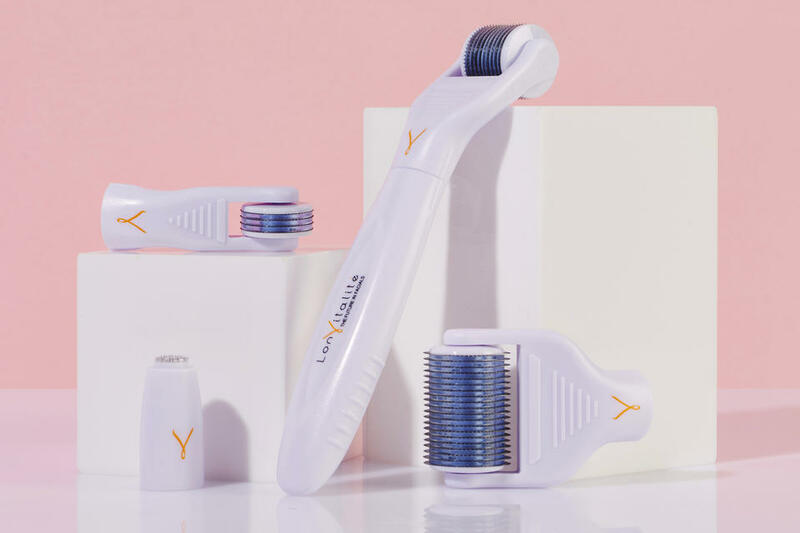 The Lonvitalité Microneedle Derma Roller Face & Body Kit actually contains four different sized roller heads for use on specific areas of both the face and body. This all-inclusive kit for the dermal rolling lover features a 600 needle / 0.5mm roller for the face, 240 needle / 0.3mm roller for the delicate eye and lip areas, 1200 needle / 1.5mm roller for the body (e.g. the thighs, hips, stomach and buttocks), as well as a small 12 needle / 0.25 mm stamp for very small, problem areas. Dermal rolling on the body may help to minimise the appearance of stretch marks, pigmentation, scars and cellulite, and can be repeated 2-3 times per week for best results — due to its larger size, the body roller should never be used on the face. This kit also includes a sterilising tray to sterilise the heads after each use.